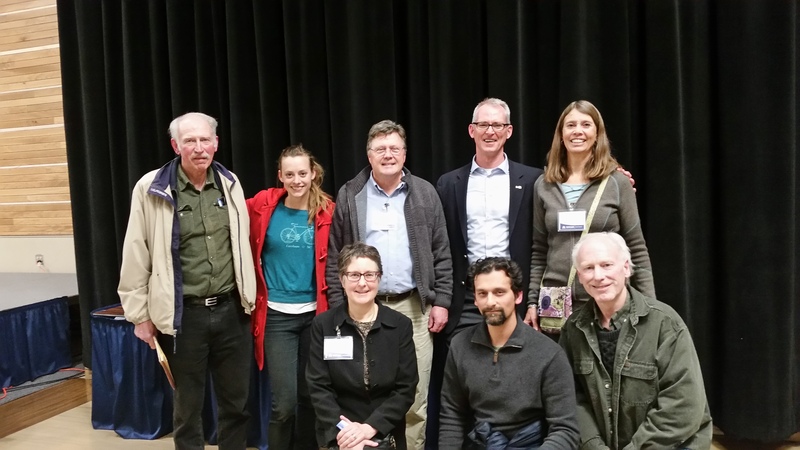 Former Six Term Congressman Bob Inglis came to Montana for the MSU Extension Service Climate Science Conference in Bozeman. He was interviewed for T.V. and radio, met with various congressional aides and local politicians in Billings and Bozeman, and was the keynote speaker for the ciimate science conference. Bob is the founder of RepublicEn.org, a Republican group that espouses taxing carbon as emitters of carbon are currently not paying for their pollution. He believes that all subsidies for all fuels should be eliminated, and all fuel sources should pay for any externalities that they inflict on society. This entry was posted in Events, Montana. Bookmark the permalink.